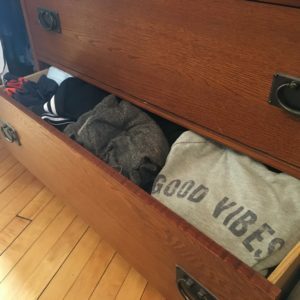 Like any other person not living under a rock, I recently binge-watched the Netflix series, Tidying Up with Marie Kondo. 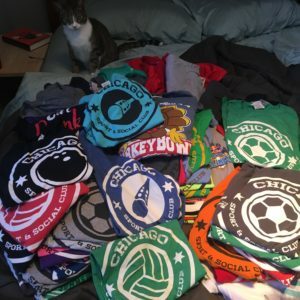 So this weekend while I was snowed in, I was inspired to apply the KonMar method to my Chicago Sport and Social Club t-shirt collection. And for fun, I took pictures of the process. **Spoiler alert in case Marie Kondo is still on your watch list** She helps people de-clutter their homes by category, rather than room-by-room using a method that asks “does this object spark joy?” If it doesn’t spark joy, thank the item, then get rid of it. When just the joyful objects remain, Marie has fantastic tips for storage and organization. Currently, my CSSC shirts spark a lot of joy. I play in them, sleep in them, lounge in them, go out in them and I have big plans to turn some of them into tank-tops this summer. Because I’m a team captain I naturally end up with duplicates of the same shirt. 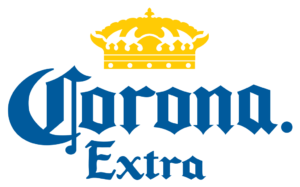 A big reason for wanting to KonMar my shirts was to thin the herd and make it easier to find my tangerine shirt for soccer on Mondays and my tiffany blue shirt for broomball on Thursdays. 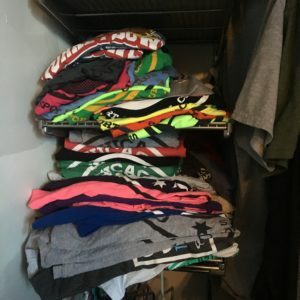 Usually my shirts sit neatly folded and stacked on a shelf. But if I’m being honest, that’s only true on Sundays after the laundry is finished. By Tuesday, it looks more like the clearance area at Marshalls and my most recently used shirts are just sitting on top of remnants from past seasons. It felt great to throw those piles on the bed and be reintroduced to shirts from the summer of 2016. And before you get on my case about not KonMar-ing all my clothes, just know that I know I cheated a little by only doing my t-shirts. Let’s move on. Marie has a specific way of folding clothing so that each item turns into an adorable little package that can stand up on its own. If you’ve wondered how tedious this is, let me tell you – it’s not. It’s actually calming. It might take 2.7 seconds longer than the way I used to fold, but it’s oddly enjoyable. And I’m not one of those people that loves to do laundry. 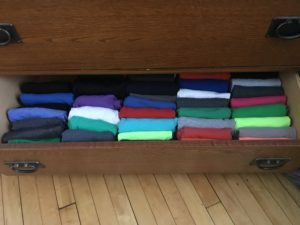 Folding like Marie Kondo is a new-found pleasure. 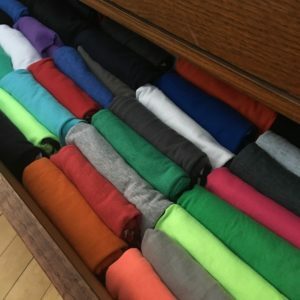 As I held each shirt I checked the size, made sure there were no holes or stains, and compared against the inventory of colors I had already folded. And of course, I made sure it sparked joy. Admittedly, a lot of the joy comes from the thought that I am ready to sub with any team and come prepared with a matching shirt. But it also reminded me of the joy of seeing my teammates every week and the fun I have when I play. It took me an hour and 15 minutes to complete the process for 69 shirts. 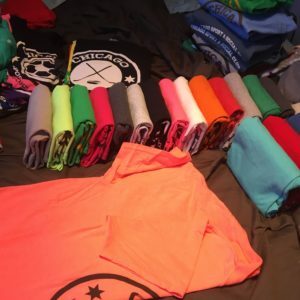 I kept 50 shirts and donated 19. 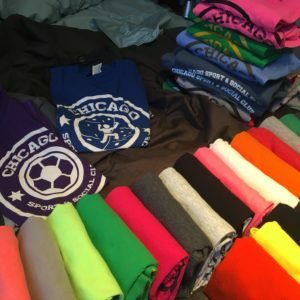 Of the 50 shirts I kept, 25 of them were CSSC tees (I’ve actually played in that many leagues over the past 4 years). The rest were long sleeve shirts, plain tees for layering, band shirts, and dri-fit shirts I love working out in. But typing that I still have 50 t-shirts in my possession doesn’t feel great. I don’t get asked to sub that often, so maybe having 25 different color shirts isn’t really necessary. I may need to do a second round of KonMar-ing in a couple months after I see how many of these joyful bundles are exactly where I placed them today. Since I didn’t want to re-start the inevitable clearance rack look in my closet, I cleared out a drawer for my t-shirt collection. Now I have a new pile of clothes to KonMar, but at least the shirts look delightful in the drawer. The final product was two empty shelves in the closet, an eye-pleasing t-shirt drawer, a bag of shirts for Good Will, and a desire to continue this process throughout my home. It’s like a treasure hunt for sparks of joy. Happy hunting. I’d love to hear your story if KonMar-ing your CSSC shirts sparked joy.